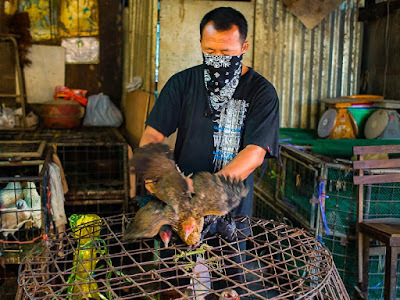 A vendor in Khlong Toei Market sorts live chickens. The Thai Health Ministry ordered an alert for the spread of Bird Flu (H5N1) this month. 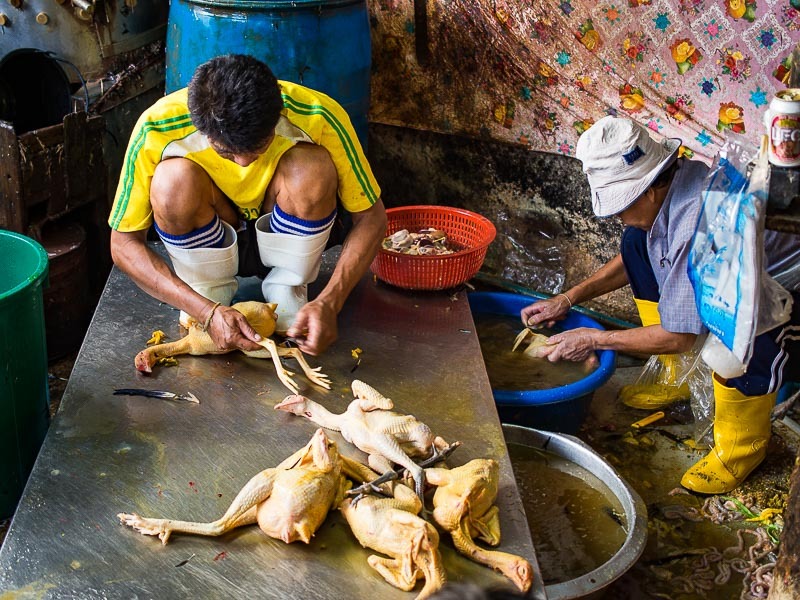 Bird flu is endemic in Vietnam, China and Indonesia. It's probably endemic in Laos, but public health tracking there is not as sophisticated as it is elsewhere in Southeast Asia, so we don't know. 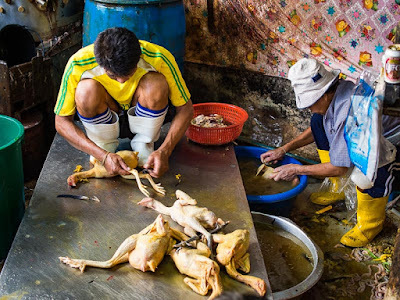 Cleaning freshly slaughtered chickens in Khlong Toei. Possibly because so much of the Thai economy, including the poultry industry, is export driven, there's good record keeping. If a flock of chickens in Isaan dies from bird flu officials in Bangkok will know about it in short order. Similarly, Thailand has a good public health system with clinics and hospitals in even the most far flung provinces. If a person shows up in a local hospital with the symptoms of H5N1, officials in Bangkok will know about it. A basket of live chickens for sale in Khlong Toei. But that's not a reason to be complacent about the possibility of a Bird Flu outbreak here. The border with Laos (and Cambodia) is long and porous. 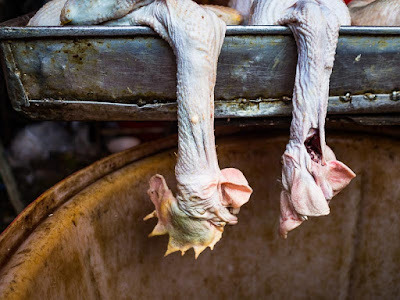 It would be easy for infected poultry from neighboring countries to be brought into Thailand, for example in a farmer's basket, sold at a border market and then infect Thai birds. 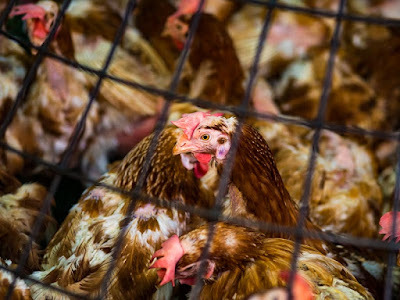 It's important to remember that no new cases of H5N1 have been reported in people in Thailand in years, the warning from the health ministry was just that, a warning. When H5N1 last visited Thailand, the local poultry industry suffered huge losses. Thai poultry exports were restricted, flocks were culled and Thais lost confidence in the poultry industry. Ready for the curry pot and not killed by bird flu. There are more photos from the Khlong Toei poultry market in my archive or available from ZUMA Press.